I am back in Kiev, and now I notice how many soldiers there actually were in Mariupol. Here you hardly see them. And definitely not in groups or in tanks. The past few days were different. 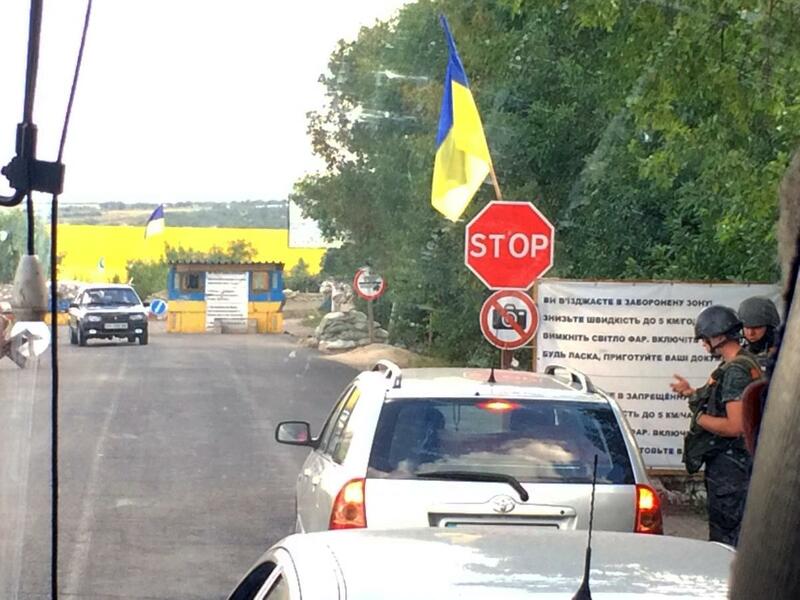 The last fifty kilometres to Mariupol we had to cross five checkpoints. Some we could pass with a simple head nod. But usually one of the soldiers came in and asked what we were up to. A letter of invitation usually helped. Once a soldier entered the after reading the letter and thanked for doing a good job. But another checkpoint all men had to get out of the bus and were checked and iinterrogated extra. The fear of Mariupol being taking over by the separatists and/or the Russians is very big. In our hotel two floors are used by soldiers as well. They don’t tell us anything. But they are with a clear reason: Mariupol must not ‘fall’. For me those are crazy words I only know from history lessons, movies or books. I am in the middle of it now.